Walk, bicycle or drive aboard one of the ferry boats and capture the romance of the Islands. Spectacular views abound on the 20 minute voyage. This controlled, lighted 3,000 ft. paved airport is located 1 1/2 miles east of downtown LaPointe. Pilot lounge and tie-downs (nightly charge). Highly skilled problem solvers with unmatched enthusiasm for clients. PADRM’s Wisconsin-based litigators specialize in helping clients with business. Full-service marina with transient dockage, premium 91 octane, diesel and pump-out. Area’s largest ship store with boating accessories, gifts, clothing, ice, snacks, charts, camping supplies. Mercruiser and Raymarine dealer. Yanmar parts. 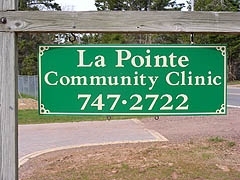 La Pointe Community Clinic was established in 2006 to provide medical services to the residents of and visitors to Madeline Island. They are a non-profit organization and much of their funding is from personal donations. Located at 412 Big Bay Road - The town of La Pointe is very active in recycling. Please do your share. 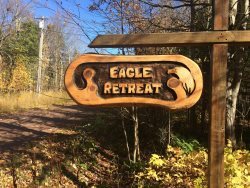 Keep Madeline Island clean for all to enjoy. Mass: Saturday 6:15 p.m., summer only. 715-747-3300 [email protected] Specializing in shoreline stabilization, docks, dredging, driveways, site prep, pit run, foundations, bank sand, red and limestone gravel, pea gravel, rock, screened sand, redi-mix concrete batch plant and snowplowing. Free estimates – Prompt service.